Researchers at the MD Anderson Cancer Center are investigating the use of the drug adcetris (brentuximab vedotin) to combat mesothelioma. Adcetris consists of two parts: a targeted therapy and a chemotherapy agent. This drug is commonly used in patients with hodgkin lymphoma and anaplastic large cell lymphoma. 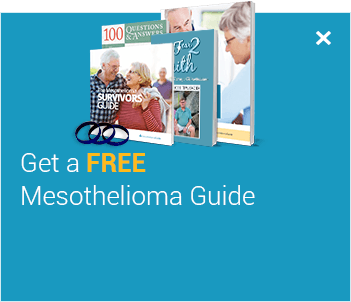 Patients with any primary site of mesothelioma and any cell type are eligible for this trial. However, a participant must test positive for the CD30 protein. Targeted Therapy– One component of adcetris is a type of targeted therapy. It targets the CD30 antigen on the surface of cancer cells and attaches to the cell. Once it is inside of the cell, it stops them from dividing. This disruption eventually leads to cancer cell death. Chemotherapy – Adcetris also contains an antineoplastic (chemotherapy) agent. Chemotherapy is one of the most standard forms of treatment that is used for combating mesothelioma. Chemotherapy works by attacking cells that replicate quickly, like cancer cells. Since adcetris works by interfering with the growth and spread of cancer cells that are inside the body, researchers believe that this investigational approach may help patients that are combating mesothelioma. 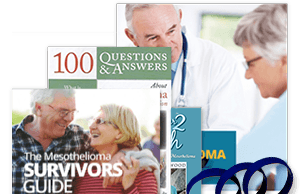 The lack of treatment options for mesothelioma relative to those for other cancers make clinical trials an invaluable source of treatment. One of the benefits of this trial is that adcetris works by interfering with the growth and spread of cancer cells. This clinical trial is currently recruiting. The study will enroll about 50 participants. The goal of this trial is to see if the drug adcetris (brentuximab vedotin) can control mesothelioma. During this phase 2 study, researchers will also be analyzing the safety of this drug. Using the drug adcetris to combat mesothelioma is considered investigational. 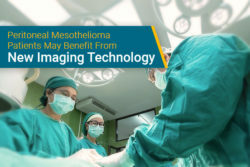 This means that researchers are still trying to investigate both its safety and effect it has on mesothelioma patients. The drug adcetris will be administered to patients intravenously every 21 days (about a 3-week cycle). This process will take about 30 minutes. On the first day of each 3-week cycle, a patient can expect to have a physical exam and to have their blood drawn for routine tests. 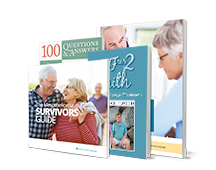 These routine tests will determine if a patient can still participate in the clinical trial. Every 6 weeks a patient will have a PET-CT scan. This scan will allow doctors to check the status of their disease and to see how they are responding to the investigational drug. 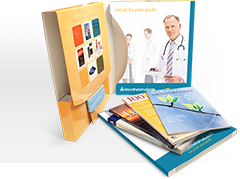 A patient will receive a follow up 30 days after taking their last dose of adcetris. Is This Trial for You? A patient cannot participate in this clinical trial if they have received any other type of investigational drugs within 14 days of their enrollment. They must also have no other history of a malignancy within 2 years or hematologic malignancy within 3 years. The clinical trial is taking place at the University of Texas MD Anderson Cancer Center in Houston, Texas. The MD Anderson Cancer Center offers mesothelioma patients treatment options such as extrapleural pneumonectomy and pleurectomy surgery options. The center is also known for its expertise in clinical trials. Dr. Anne Tsao is the director of the mesothelioma and thoracic chemo-radiation programs at the MD Anderson Cancer Center. She is a specialist in treating thoracic cancers, such as pleural mesothelioma. 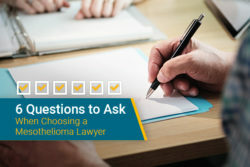 If you have any questions or concerns about this clinical trial, please feel free to contact Mesothelioma Guide’s nurse and patient advocate, Jenna Campagna. Cannot find Clinical Trial. Make sure an identifier has been added. Trial of Adcetris in CD30+ Malignant Mesothelioma. ClinicalTrials.gov. Retrieved from: https://clinicaltrials.gov/ct2/show/NCT03007030?term=NCT03007030&rank=1. Accessed: 07/17/2017. What is the Most Important Serious Safety Information I Should Know About ADCETRIS® (brentuximab vedotin) for Injection?. Adcetris.com. Retrieved from: https://adcetris.com/patient/side-effects-hodgkin-lymphoma.php?day0RedirectLink=true&usaBy. Accessed: 07/17/2017. Hodgkin's lymphoma (Hodgkin's disease). Mayo Clinic. Retrieved from: http://www.mayoclinic.org/diseases-conditions/hodgkins-lymphoma/basics/definition/con-20030667?utm_source=Google&utm_medium=abstract&utm_content=Hodgkin%27s-lymphoma&utm_campaign=Knowledge-panel. Accessed: 07/17/2017. 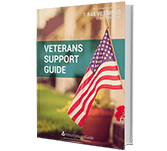 What Is Brentuximab vedotin?. Everyday Health. 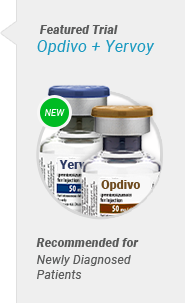 Retrieved from: http://www.everydayhealth.com/drugs/brentuximab-vedotin. Accessed: 07/17/2017. Anaplastic Large Cell Lymphoma. Lymphoma Research Foundation. Retrieved from: http://www.lymphoma.org/site/pp.asp?c=bkLTKaOQLmK8E&b=6300143. Accessed: 07/17/2017. The immune system. Lymphoma Association. Retrieved from: https://www.lymphomas.org.uk/about-lymphoma/what-is-lymphoma/lymphatic-system/immune-system. Accessed: 07/17/2017. Adcetris. Chemocare. Retrieved from: http://chemocare.com/chemotherapy/drug-info/adcetris.aspx. Accessed: 07/17/2017.